here's the weekly roundup for your weekend enjoyment. ( just something i made ) pennant rubber stamp roller - i just stumbled across this blog via and it is absolutely fabulous! so much daily inspiration! be sure to add it to your reader! ( growing up creative ) paper roll flower wall art - i really want to do this! i was just wondering the other day what things could be done with a paper roll. this is just lovely! ( paper n stich ) Craft Venture: pricing for wholesaling - an awesome article all about wholesale for your business! i don't really know how to go about the right way to wholesale my products so this is really helpful. 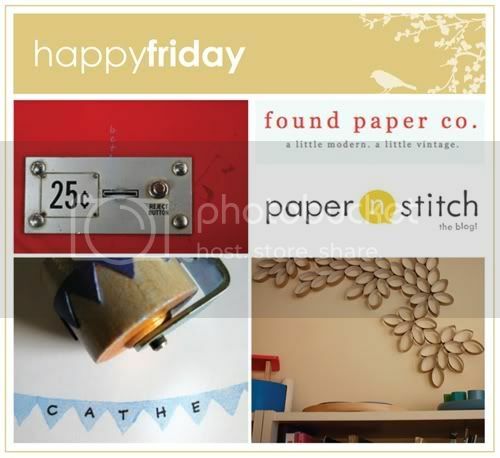 ( found paper co ) new shop - tips, tricks, and a little advice - xenia writes a great article about tips for all you business owners. very helpful! ( today's big thing ) marshmallow test - this site posts a video a day. if you have some time this weekend, watch these! kids are hilarious. worst hide and seekers is adorable. and this lip dub is pretty legit! ( muggle sam ) the cutest videos every. have you seen these little girls? they are too cute. 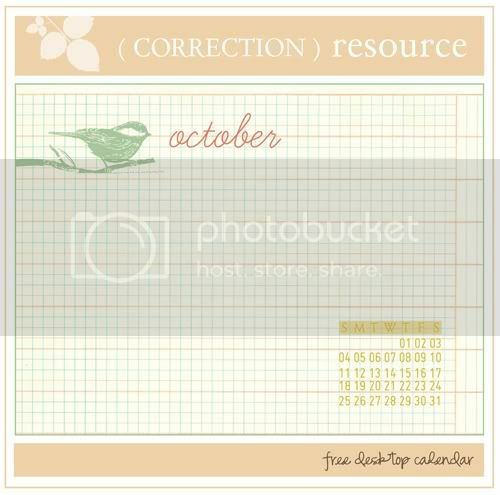 ps: thanks to everyone who pointed out that i had the wrong calendar for the resource yesterday! leave it to me to copy the wrong calendar, haha. i didn't even realize: very sorry about that! my mom always does say i'm the worst proof-reader ever ;) thanks for your sweet comments, and to everyone who downloaded it: i'm honored and thank you! anyway, i added a new file with the dates, if you prefer the calendar with that instead. sorry to have you re-download: please download the correct files here! and comment or email if there are any issues! Danni, thats too funny, cause I JUST noticed when I turned my computer on, that it was the wrong calendar. haha. Hope you have a great weekend! I am pretty excited for this weekend....we have nothing planned, and Tims mom is finally gone back to Ohio. Excellent post on Found paper Co.
great links! love that stamp roller idea. I am in love with the Just Something I Made blog- great choice! And I had already read Xenia's post on shop tips- they were excellent. Have a wonderful weekend! I just became your 900th follower! Woot! Thanks for all the wonderful links! I'm loving each one so much! Happy Saturday! aw thanks for stopping by my blog, too! i just downloaded the calendar. so pretty. thank you! perfect, i now have a new desktop image, which i love!!! thank you! Hope you had a great weekend and thank you for a fabulous desktop!